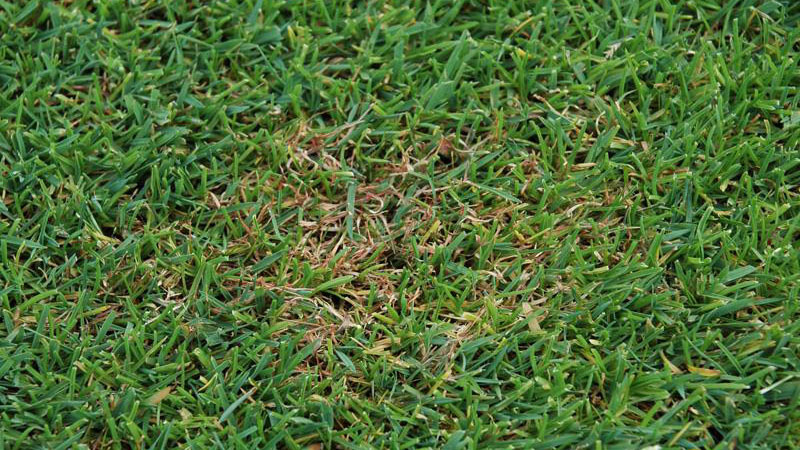 Red thread develops in circular or irregular patches from 4 inches to 2 feet in diameter. 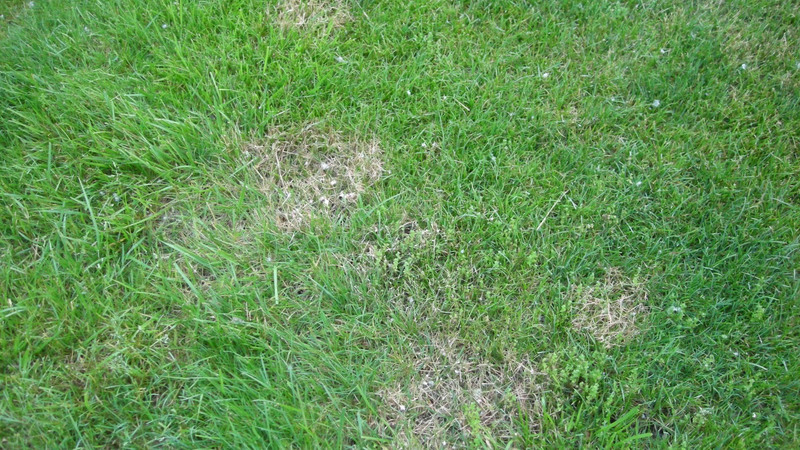 Affected leaves within these patches are tan or bleached-white in color. 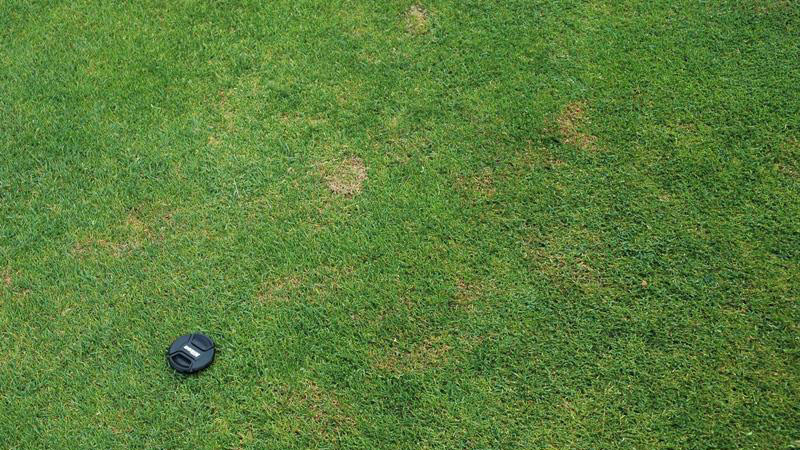 From a distance, the patches usually have a reddish appearance, due to the presence of thick, red strands of fungal growth emanating from the affected leaves. It is through production of these “red threads 9sclerotia)” that the fungus spreads to healthy plants and survives unfavorable conditions. 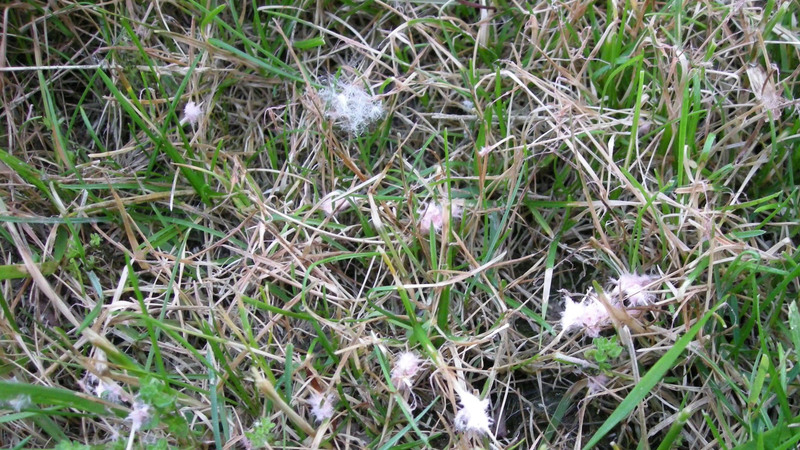 Small tufts of pink, fuzzy mycelium may also be present in or around the patches when the leaves are wet or humidity is high. 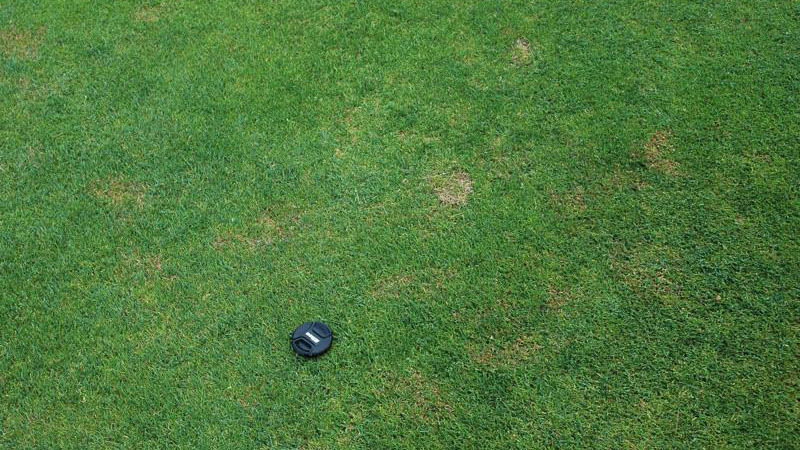 After prolonged periods of disease development, the patches may merge to produce large irregularly shaped areas of damaged turf. 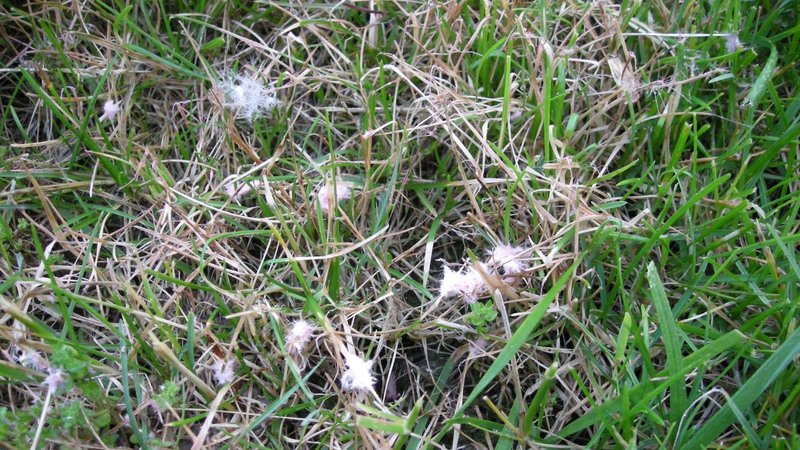 The red thread fungus is able to cause disease at temperatures ranging from 40 to 80°F, but develops most rapidly at approximately 70°F. 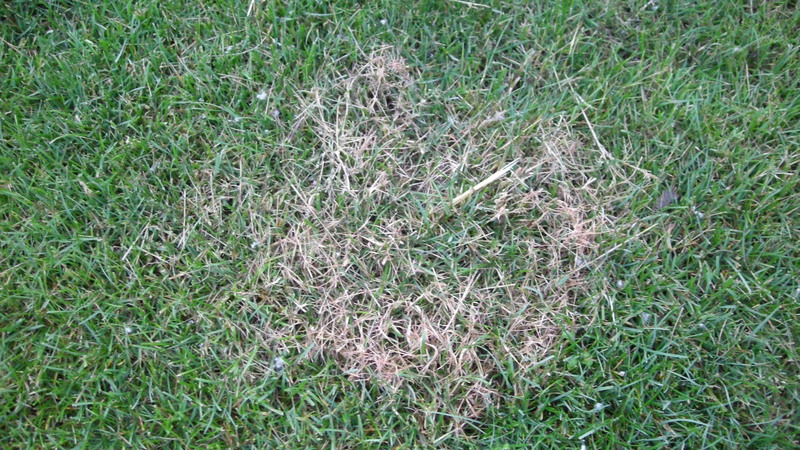 Red thread affects grass that is growing slowly for any reason: inadequate fertilization, drought stress, cool weather, low light intensity, excessive traffic, or many other pest or environmental stresses. 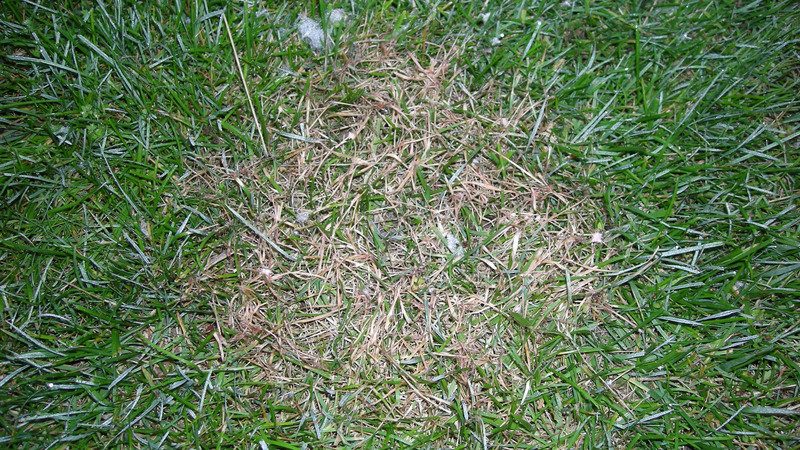 Red thread is most severe in the spring and fall, when extended periods of cool, wet, and overcast weather slow growth of the turf and favor growth of the pathogen. 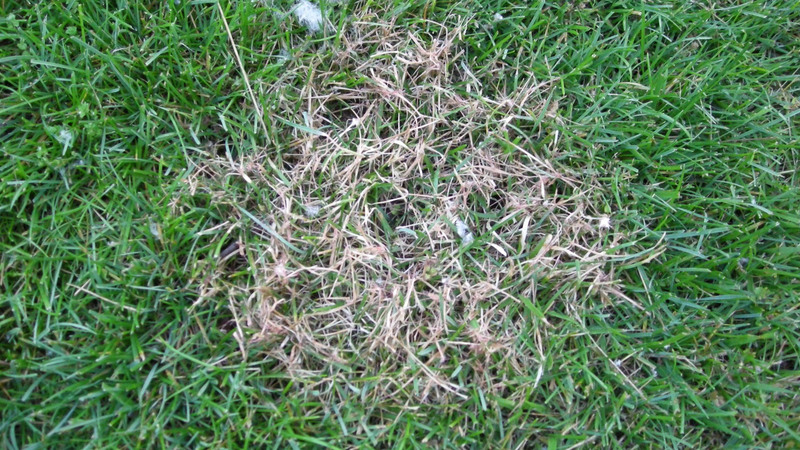 Because of its wide temperature range, red thread can develop at any time of year when a slow-growing host and sufficient leaf wetness are available. Fertilize to meet the nutritional needs of the turf and maintain vigorous growth. Submit a soil sample for nutrient analysis regularly, and apply recommended amounts of phosphorus, potassium, and lime. 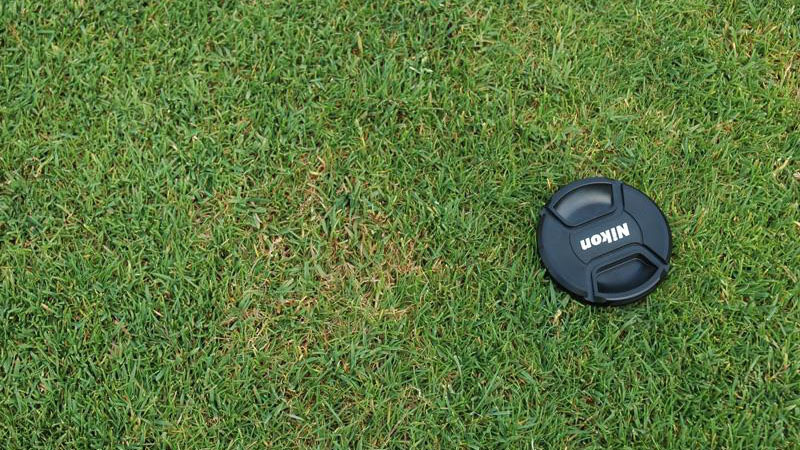 Apply nitrogen based on university recommendations to prevent weak, thin turf; however, avoid overstimulation and the development of lush, succulent turf. Irrigation should be performed between midnight and 6 AM to prevent prolonged periods of leaf wetness. Never irrigate in the late afternoon or early evening. Apply a sufficient amount of water to wet the entire root zone, then reapply when the turf first starts to show signs of drought stress. Use the Turf Irrigation Management System available on TurfFiles to schedule irrigation based on weather conditions and turf needs. Prune or remove trees, shrubs, or other barriers to increase air movement and sunlight penetration. 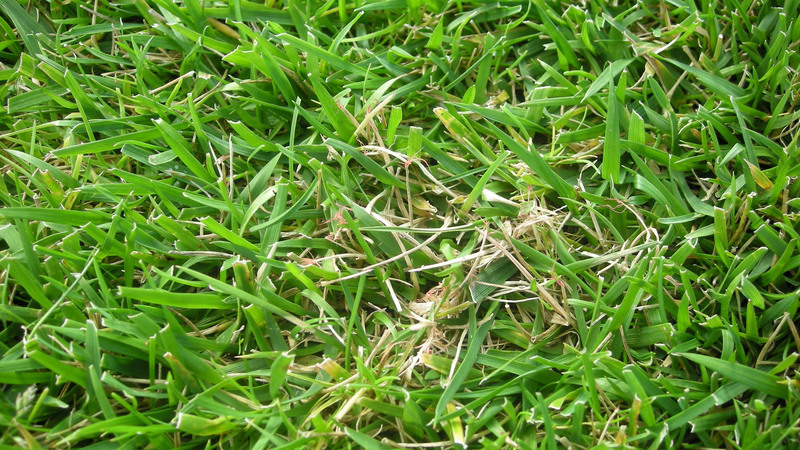 Remove clippings from affected areas when the disease is active to reduce spread of the disease, and wash infected clippings from equipment before entering uninfected areas. 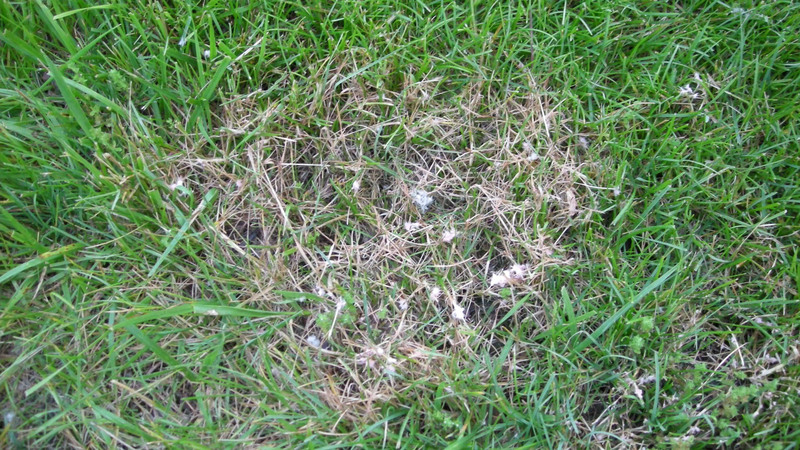 Fungicides are available for control of red thread, but are usually not necessary if proper cultural practices are implemented. Figure 1. Red Thread stand symptoms. Figure 2. Red Thread stand symptoms. Figure 3. Red Thread stand symptoms. Figure 4. Red Thread stand symptoms. Figure 5. Red Thread stand symptoms. Figure 6. Red Thread stand symptoms. Figure 7. Red Thread stand symptoms. Figure 8. Red Thread stand symptoms. Figure 9. Red Thread stand symptoms. Figure 10. Red Thread stand symptoms. Figure 11. Red Thread stand symptoms. Figure 12. Red Thread stand symptoms. Figure 13. Red Thread stand symptoms. Figure 14. Red Thread stand symptoms. Figure 15. 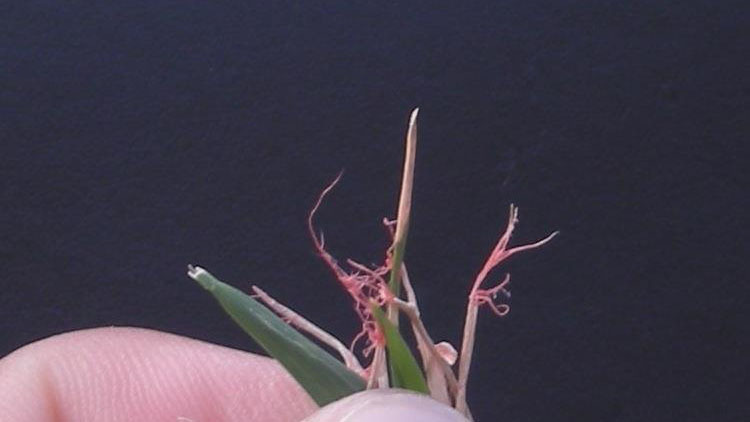 Red Thread foliar symptoms.